Perhaps, we can all agree that we have this one friend we cannot imagine our lives without. We call them ‘sis,’ ‘pare,’ ‘mare,’ ‘bestie,’ ‘best friend,’ ‘kapatid,’—even b*tch/b*atch, and all those other pet~ names. But here’s the thing: Will you allow this one friend to write a book about your lives and adventures together? Will it be full of your exciting escapades, or just completely embarrassing moments? Should you ever decide to do that, here’s a book that will give you an idea how your biography, authored by your sis or pare, might progress to. The bond between the comrades is the highlight of this book for me. They are both great characters, and the way they were built around the idea of patriotism was really enjoyable. I also liked the way this book was written. The author addressed me, the reader, as if Vovochka (either/both of them, haha) was talking to me as a friend. 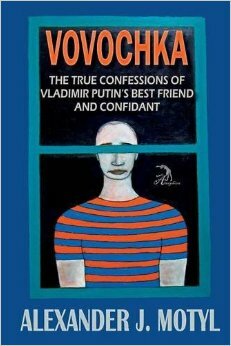 It was engaging how he let me in on all the secrets and antics both the Vovochkas had, be they good or bad. And for the most part, this book also opened my mind to the culture of Eastern Europe. In some parts, I was dumbfounded by how different cultures could get! At first, I was lost in translation with all the words and references about socialism, communism and all the -isms you could possibly think of. (How lucky enough are we to have e-book readers with built-in dictionaries!) So, I found myself researching more about the forms of government and other political subject matters and of course, Russia! Note: I made free printable bookmarks to use for your own book challenge journey. Download them here! Bookbed received an ebook from the requesting author in exchange for an honest review. Read our Review Policy here.